Discard two Energy attached to Master Edges. Choose 1 of your opponent's Pokemon. This attack does 190 damage to that Pokemon. Master Edges can't use this attack during it's next turn. 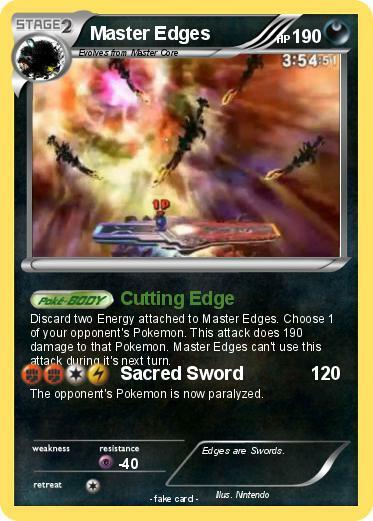 The opponent's Pokemon is now paralyzed. Comments : Edges are Swords.